Wow, this place is awesome! When it comes to describing Blitz Ladd, the phrase “like a kid in a candy store” comes to mind. From the myriad of flatscreens showcasing sports to the variety of entertainment, not to mention the spectacular selection of beers on tap, Blitz Ladd is just about the perfect sports bar. 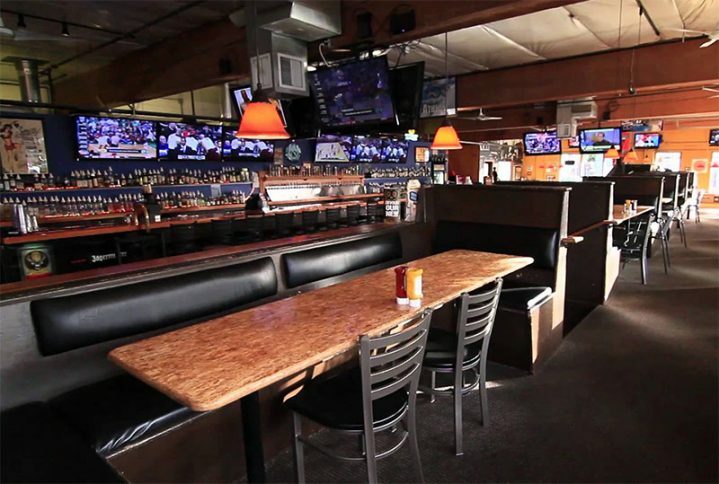 Blitz has an abundance of seating including booths, barstools, and couches giving patrons an assortment of choices for enjoying sports on any of their 70 televisions and 4 projection screens. That wasn’t a “typo”; they have 70 flat-screens including one in each bathroom! Blitz has made sure that there literally is not a bad seat in the house. The food menu has the typical sports bar fare, including pizza, burgers, and nachos, which are well complemented by their rather large and diverse beer and cider menu. Wine and cocktails are also provided for the non-beer drinker. The bartenders are especially helpful when navigating the numerous drink options. As for entertainment, I have to say Blitz Ladd has something for everyone, including 2 pool tables, 4 ping pong tables, Pop-A-Shot, NFL 2 Minute Drill, 3 pinball machines, 2 shuffle boards, 2 dart boards, skee-ball, 2 claw machines, Big Buck Hunter Pro, Big Buck HD, Golden Tee, 4 video poker machines, and Keno, all of which help to pass the time in between the games on T.V. Seriously, if you can’t have fun at Blitz Ladd, then maybe sports bars aren’t your thing. Aside from the many entertainment options, Blitz invites you to enjoy daily food and drink specials as well as happy hour from 3 p.m. to 7 p.m. on weekdays in one of Portland’s best sports bar environments. Whether by yourself, or with a large group of friends, Blitz Ladd has everything you and your mates could possibly want in a sports bar.